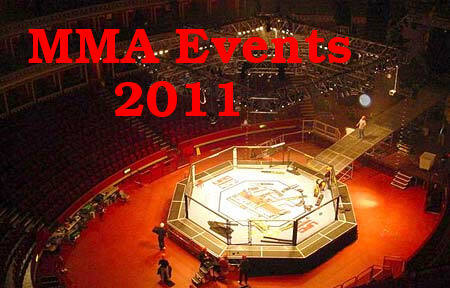 Wondering what MMA has in store for 2011? Well, Fighting Insider is willing to feed your curiousity, as the upcoming MMA events for January - April 2011 are posted in the article below. After the GSP vs Koscheck match this December 11, MMA fans will definitely be itching on what’s next. But worry no more, because Fighting Insider is giving you the upcoming MMA events from January to April 2011. Are you ready to place your bets for next year? More upcoming events are sure to be announce, so keep it locked up here on Fighting Insider.